Doing Something is a good dating site with different features. You won’t able to find ordinary dating features on the website. That’s why our review rate is not going to be high for doingsomething.co.uk. However the website is providing very unique features for you. We recommend you to give a try to the website since there is already 3 days trial after you get a membership from Doing Something. You don’t need to purchase from the site to getting 3 days trial. Your trial will be activated just after membership. It is a good UK dating platform. You can read our review and add your dating review on the website on here. 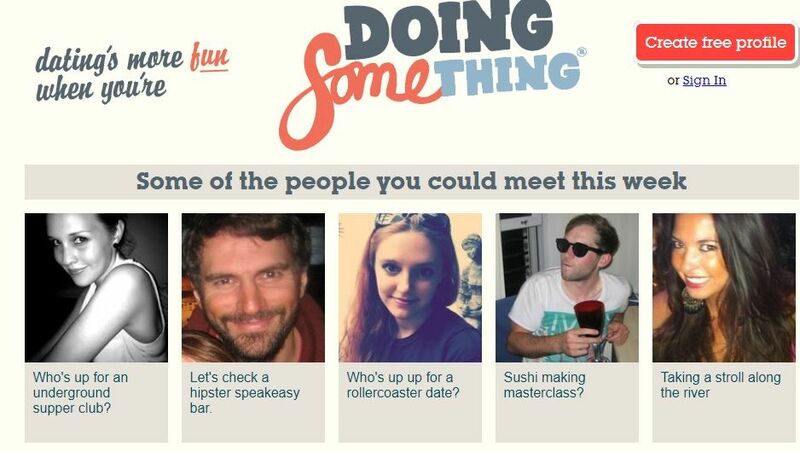 Visit the website: doingsomething.co.uk – Important Update: This website is no longer available. Good for dating people from England, Scotland, Northern Ireland and Wales. Your three days trial will be activated after you register to the site. You will able to date with people in particular places. It is a social network like dating platform. No search feature on Doing Something. Registration is not open for Non-UK citizens. Popularity of the site is a little bit low. It means you will hardly get responses from people on the website. Monthly price of the membership is a little bit expensive. If you already have any experiences on Doing Something, you can share your thoughts with us on this page. You can improve the review of Doing Something and you can give more information about the website to dating users of internet. You can also ask us questions about the website.